At issue here is PC (political correctness). Whenever IQ disadvantages Blacks, it is prohibited. While a cutoff at IQ 70 exempts 2 of Whites, it exempts 30% of Blacks. While it inches closer to 85, the Black average, it gets closer to exclude half of Blacks from responsibility. An IQ score can dramatically misjudge intelligence, depending on how motivated the person is when taking the IQ test, scientists discovered. With sufficient coaching even dumb people can learn to score even dumber on IQ tests. It is important though, that no amount of effort will make you run faster then Usain Bolt, and no amount of effort (other then outright cheating) will make you score higher on IQ tests. One can pretend to be dumb or slow, but not pretend to be fast or bright. In Griggs v. Duke Power Co. the Supreme court decided that IQ tests must not be used in job admission tests. In spite of the fact that a vast amount of research shows that IQ test is by far the best predictor of job performance. 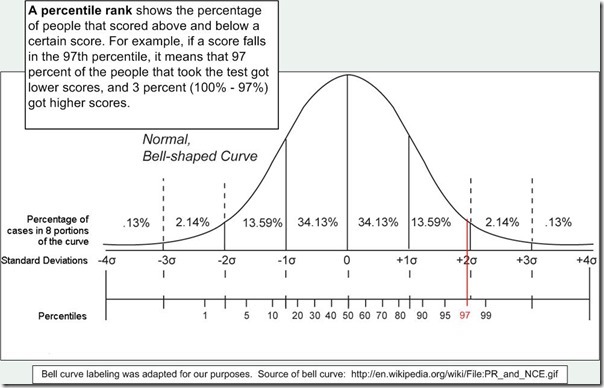 As the Bell Curve cites, the US military has tested millions of recruits for a century, and tracked the professional success of hundreds of thousands, to establish this fact. A point has been made that Millions have waste money and time on unnecessary college degrees. These serve as a proxy for intelligence tests. No low-IQ person will get a degree at Stanford, though quotas may cause distortions. This means that 15 % to 30% of Blacks are not considered fully responsible for their crime, as US Black IQ is around 85 mean with 15 Standard Deviation. George Zimmerman offered to fight anyone, in a celebrity boxing match. Among 15000 eager candidates, rapper DMX was selected. That of course is a problem. A relentless slandering campaign by the press, led by the justice department has spread lies about a clear cut case of self defense against the vicious life threatening attack by Trayvon Martin. See details further down. In the press and in comments hardly anyone would condemn DMX for his violent unfair criminal attitude. Is unfair violence really an accepted part of rap culture? Black misbehavior is usually excused, if not expected. 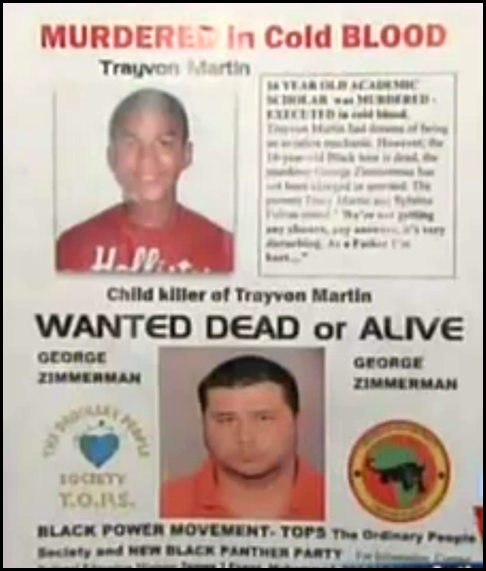 It was perfectly acceptable that, last year, the New Black Panthers put up a US$ 10 000 bounty on Zimmerman, dead or alive. Calling attention to anything related to Blacks is un-PC. A no-no. You must not even mention Black neighborhoods or Black names, even in neutral ways. Even mentioning Black overwhelming superiority in the 100 meter dash can be offensive to Blacks. Never offensive to the inferior white runners. "I knew of the name Lasonia. I did not make it up, nor do I find it funny. So to me the answer was either Lasonia (with a capital), or Lasagna, depending on what you meant. That they sounded alike in this rare and particular context struck me as funny. That was the joke," he wrote on his website. Nowadays everyone is SENSITIVE to slightest innuendo. We have no serious life threatening problems, so we all minorities were trained to become OVERSENSITIVE. The story didn’t stop there. PC loves to distort, lie, make things look worse then they were. For example, in the George Zimmermann case, CBS cut the 911 call as to make Zimmerman sound racist. And the misleading photos of a 12 year old little Trayvon child and a Zimmermann in prison garb and 50 lbs. heavier. Or the lies about domestic violence or the Rind study. "It depends. Are you in an African-American restaurant or at an Italian restaurant," Salon said Martin wrote, suggesting he meant to imply that African-American restaurants can’t spell "lasagna." Steve Martin did not say this. It is a lie, a false citation. what is the problem if someone thinks Blacks can not spell? Or if someone says so. Even if it were totally wrong? What makes it more offensive it that it is true. Race and iq debate is un-pc, verboten. In spite of half a century of head start and other efforts Blacks underperform in school, while Vietnamese, Chinese, Koreans, and Jews vastly outperform Whites. I agree with Roger. Apartheid was not evil, unless you want to call it a “necessary evil” like police and government. As Laura said, what other choice did they have? Whites have been in South Africa for three and a half centuries. The first European settlers found most of the land almost entirely uninhabited, so it can’t even be said of South Africa what so many liberals and multiculturalists are so fond of saying of America, that white Europeans stole it from some other race that was already there. Most blacks came to South Africa later from other parts of Africa, and especially in recent times they came for the most obvious of reasons; because it was not only the continent’s only First World nation but, in fact, the only one that wasn’t an out-and-out stinking, festering hellhole. I am not an expert on African history. So I just quote this interesting comment, without even being able to guarantee that it is right. Certainly, the African Black population grew enormously, in the last 50 or 100 years, probably much more then ten-fold. Just by large numbers of offspring, That population explosion was due to by white medicine and white agriculture technology. Thus an unprecedented number of offspring survived and have offspring again. And these Africans then demanded space in the land that had been cultured and developed by White settlers, over three centuries. I admit, I myself fall prey to the PC fallacy that any Black from anywhere can lay claim on any African land as if it were his. But if it was settled and developed by White Boers over three centuries? And then, in Europe, it will be the same. The African and Muslim immigrants will multiply in 60 years to form the majority (Thilo Sarrazin), Nobody will think that Whites have a special right in Europe. These populations will want to take over Europe , a rich paradise, created by White culture. And, unfortunately, Black culture will not be able to maintain white living standards. Why? Read my 50 articls on race and iq! It is the same in the USA. Detroit is a hell hole, where no White discriminates against Blacks. Blacks do it to themselves. They vote for a corrupt police chief, corrupt and incompetent city council, corrupt and incompetent major. 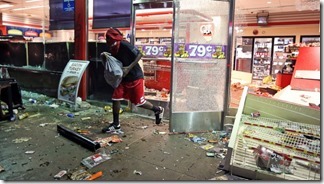 And they themselves have low education, low discipline, high crime and destroy their own neighborhood. They all are on welfare, and don’t create enough to have a tax base. They have corrupt Unions and government that spends too much, unproductively. And then it is the White’s fault, because 200 years ago some white slavers bought Black slaves from Black African slavers. What do do: a population grows 10 fold over 60 years. [I did not verify the numbers] Your own population barely increases. How to keep the growing poor, low skill population from taking over? And, as you can see from Zimbabwe, or Detroit: the Black population will NOT do better without Whites. On the contrary. Whites create a richer, more civilized environment and Blacks are the first to profit.